Going on brewery tours has become a slight obsession of mine recently. During recent trips to San Francisco and Ireland I found fantastic breweries to visit and I can’t wait to visit more. 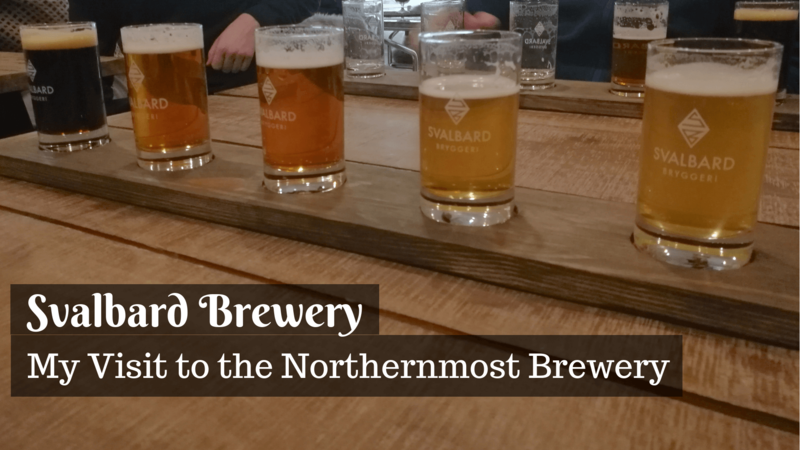 My recent adventure gave me the opportunity to visit the world’s northernmost brewery and this was one I certainly couldn’t miss out on! 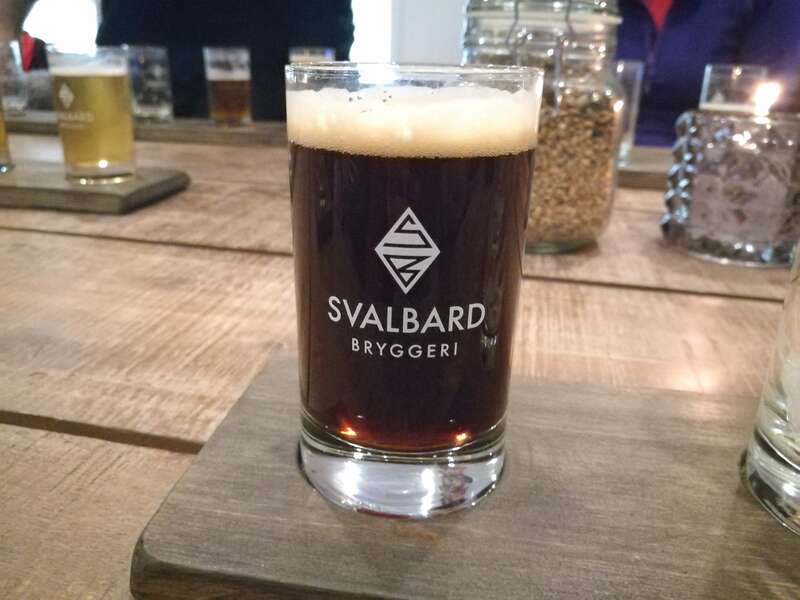 Svalbard Brewery, or Svalbard Bryggeri, is located in Longyearbyen, Svalbard. 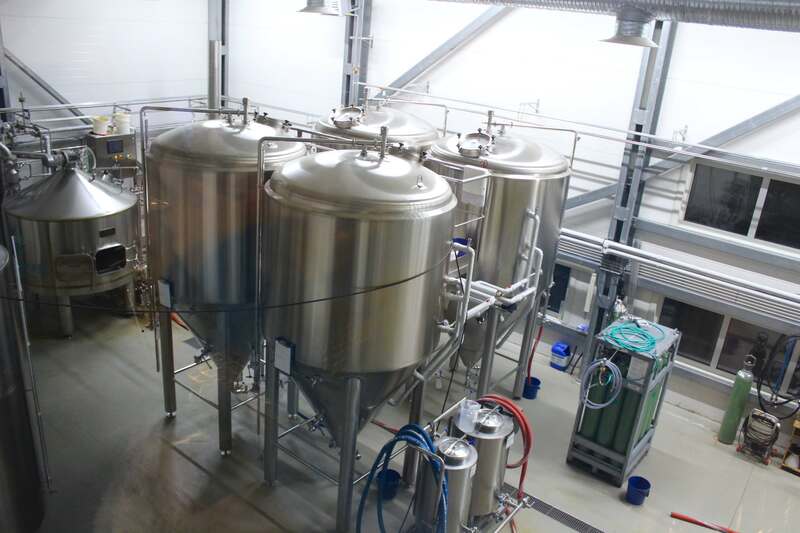 A small brewery in the arctic that’s been making some big changes. 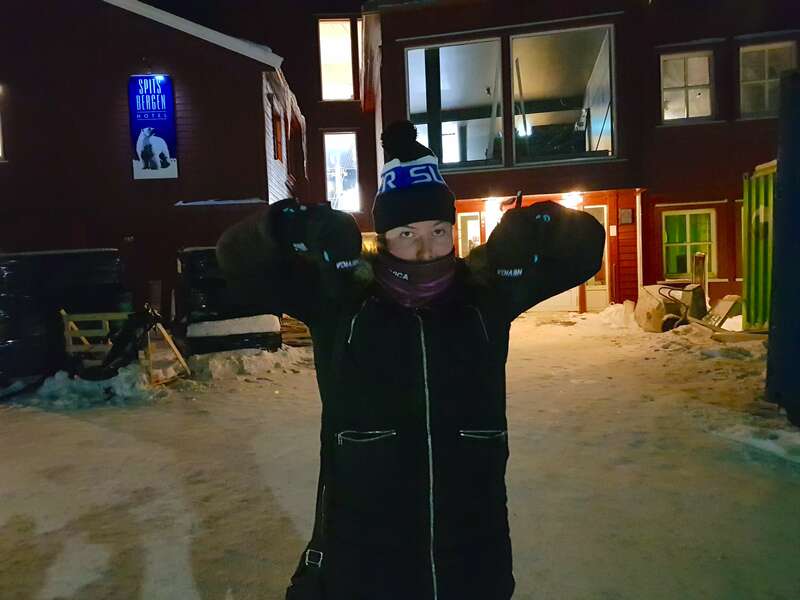 You see, Svalbard has strict rules and regulations about alcohol. The locals are even restricted to how much beer they can buy in the shop every month! 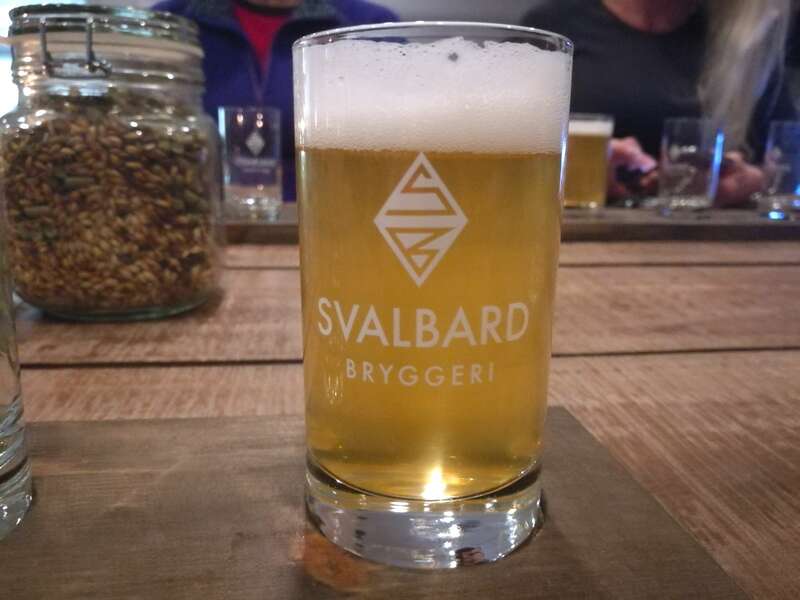 So Svalbard Brewery fought for five years to be allowed to produce alcoholic beverages in Svalbard. 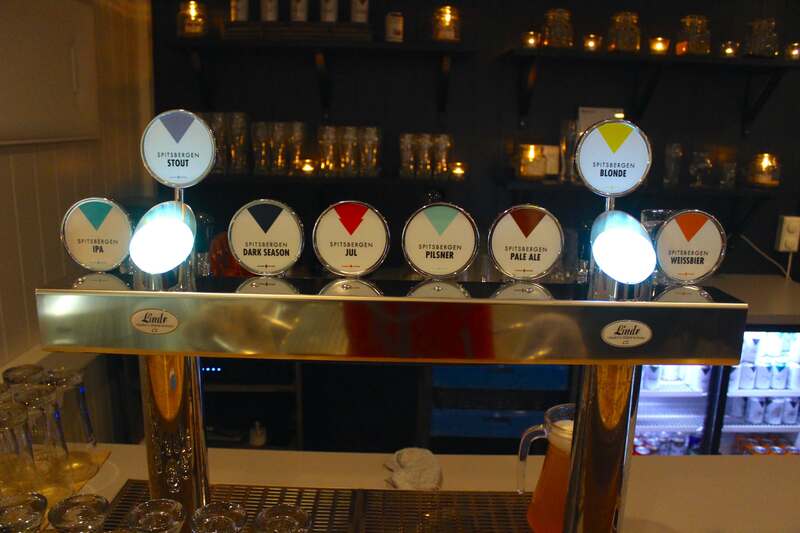 Now they produce beer for the local alcohol shop, restaurants and bars of Svalbard. You can’t go anywhere in town without seeing some delicious Svalbard Brewery beer on sale. 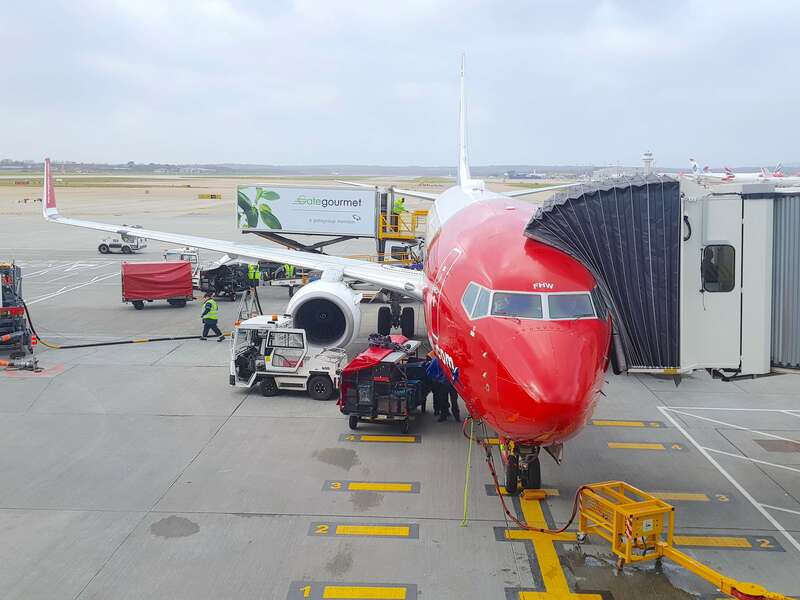 In fact, the beer is so good the brewery has a contract with Norwegian Air. You can see why I was keen to try this beer while in town! The beer tours only take place 3 times a week so I made sure to book to in advance. 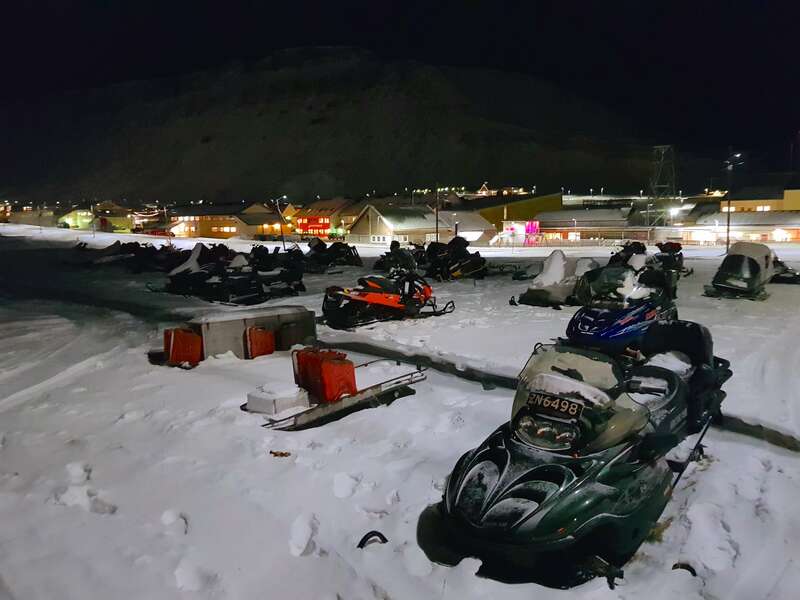 Longyearbyen is a small coal-mining town so the only way to get to the brewery is to walk. The brewery is located on the edge of town by the harbour. Like I said, Longyearbyen is a small town so it isn’t a long walk to the brewery. Just remember to wrap up in warm clothes, especially if you’re visiting in winter. Once I arrived at the brewery I made my way upstairs to the beer tasting room. This is a small room with a bar and seating area over looking the brewery. I sat down and got to know some of the other people on the tour while we waited for it to start. I always love this part as beer tours always have fun beer loving people on them. 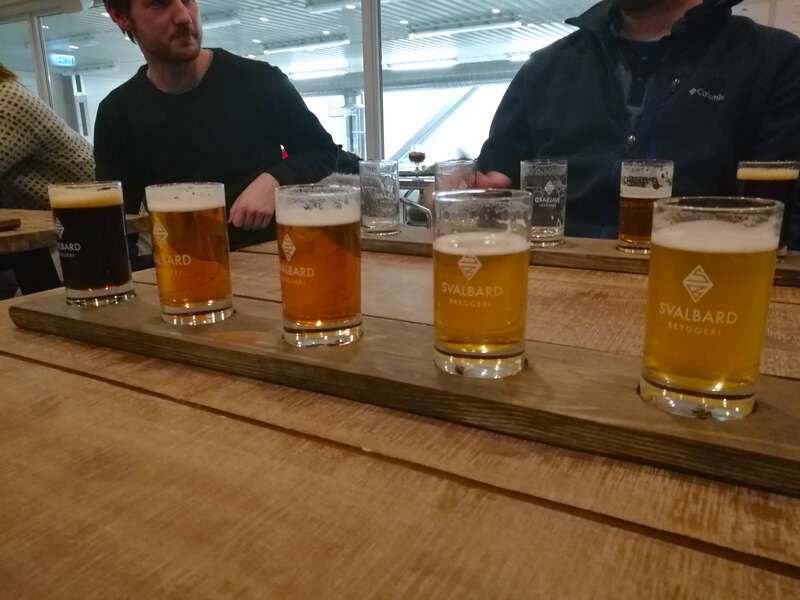 After everyone had arrived and settled down our tour began with an introduction to the incredible story of Svalbard Brewery. I won’t reveal too much now but what this pilot and former mine worker did to get his brewery up and running is incredible. It really makes you appreciate the beer after hearing this story. Hearing this story also made me want to try all the beers they had on offer. I had already tried a couple in town already but now I was going to try more and I couldn’t wait. In front of us we had 5 small tasting glasses ready to filled with beer. 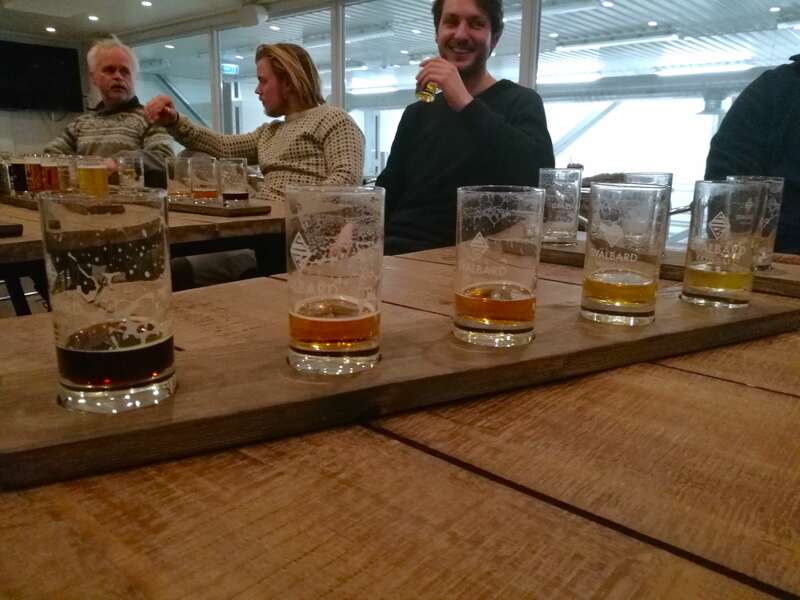 In true beer tour style we started the tasting with the most popular of the Svalbard Brewery’s beer; the pilsner. After the pilsner we moved on to the blonde ale and then moved on the the pale ale. 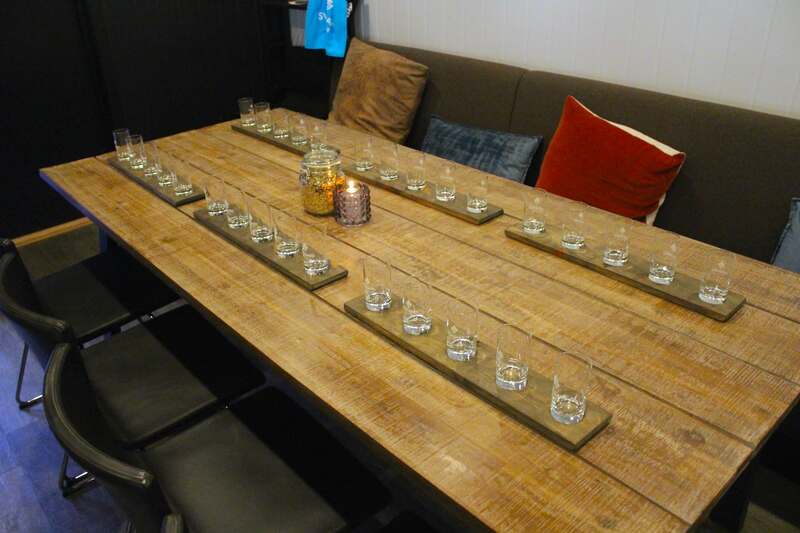 While we were enjoying our beers we also got to learn more about the strict alcohol rules of Svalbard. Our guide was also kind enough to show us what her alcohol card looked like. 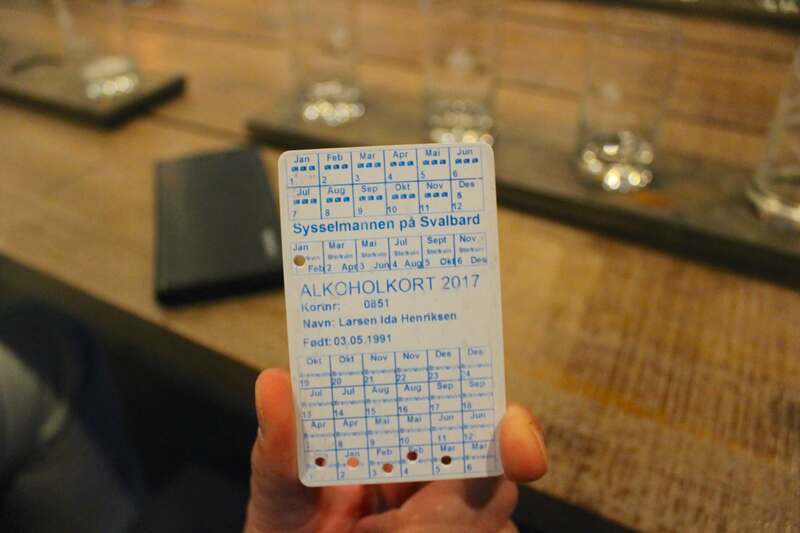 This is the card locals use to make sure they don’t buy more beers than they are allowed. I can’t imagine a world where beer is restricted! Although, this only applies to how much beer you can buy in the shop and not the the beers enjoyed in the pubs and restaurants. The last beers of our tasting were the IPA and the stout. All the beers we tried were delicious so I was very happy I came on the beer tasting tour. The stout was so good I couldn’t resist ordering more when I went out for dinner after the tour. After we had tried all the beers we moved to the other side of the room that overlooked the brewery downstairs. We were ‘walked’ through the beer making process and our guide also shared a few fun stories about the brewery too. This definitely was one of the more entertaining brewery tours I’ve been on. It was a shame it had to come to an end! While in this side of town why not check out the polar bear street sign which isn’t too far away from the brewery. It was just a 5 minute walk further down the road. This was a fun little detour that I couldn’t resist. 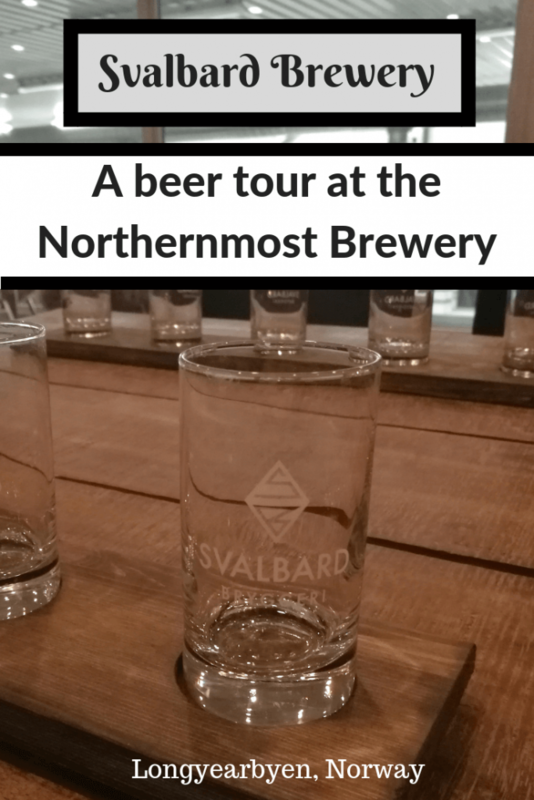 Please note that while I was guests of Svalbard Brewery, the reviews and experiences written about in this post are 100% genuine. I value you guys too much to lie to you. 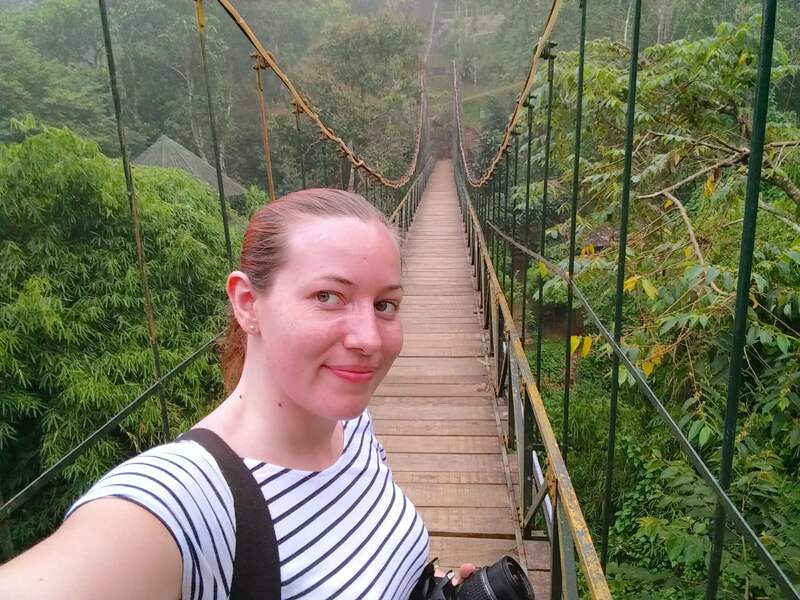 This blog would be nothing without you and your continued support! Pretty darn cool, Claire, to enjoy suds that far North. WAY up there. It was expensive compared to other places in Europe but when compared to prices in Norway it was pretty reasonable. A lot cheaper than £27 a pint!